SimplyThick Easy Mix is a thickening gel added to beverages, soups and supplements to allow people to consume these products who have Dysphagia, a swallowing disorder. It's also used by patients recovering from major surgery and may be at risk of aspirating. SimplyThick Food Thickener has a soluble fiber base and is dietary friendly since it's free of common allergens such as gluten, tree nuts, milk products, peanuts and soybeans. It's also kosher and vegan/vegetarian to accommodate a wide variety of dietary needs. Diabetic patients won't see a spike in their blood sugar because it's 0-5 calories per 6 gram serving. Preparing SimplyThick Easy Mix is made easy because it's in gel form and instantly thickens without clumping. Gel also is fully hydrated so it won't continue to swell and continue to thicken after mixing. You will find uniform consistency and it won't separate over time. 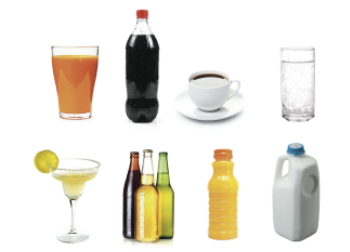 SimplyThick EasyMix uses nearly the same amount to thicken a wide variety of beverage choices. Choose from individual 4 ounce packets, bulk 32 ounce packets or the convenient 2 Liter Bottle with Pump calibrated to dispense 6 grams needed to thicken 4-ounces of liquid. The packets are color-coded based on consistency with mildly thick nectar (red) or moderately thick honey consistency (yellow). The bottle with pump provides instructions to obtain the desired consistency. Single-use packets offer convenience so that you can take it with you to a restaurant or pack for a trip. Ingredients: Water, xanthan gum, sodium acid sulfate, potassium sorbate (preservative). Ingredients: Water, xanthan gum, sodium acid sulfate, potassium sorbate (preservative). Ingredients: Water, xanthan gum, sodium acid sulfate, potassium sorbate (preservative). Simply Thick Brochure provides the features and benefits of this product. Simply Thick Patient Brochure provides mixing instructions and features for this product. Nutritional Data contains packaging nutrition labels. Material Safety Data Sheet presents food safety information. Recipe Guide presents tasty recipies using Simply Thick. Food Thickening Agent Research Study presents conclusions from research.